This book, written by Howard Smith and Peter Fingar, is an interesting book for those who want to understand the power of Business Process Management (BPM). BPM is both a philosophy and an IT approach. For all of you that want to learn about the thinking of processes in your business, and those of you who want to understand the next generation of IT systems, this is your book. If you are working with implementing a new operational system into the business, then you should first read this book. The power of using the next generation of IT systems in your business, will give you information about your business that you have never seen before. There is a lot of information from the existing operational systems, but they cannot control, or show the result of, the whole process flow. That is because they usually only cover a part of the process. 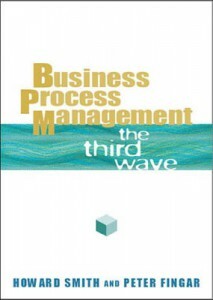 The first two thirds of the book is readable to all who have an interest in finding out more about BPM. The last third of the book is more for those of you who work with implementing your processes and need knowledge about this. Previous Post Your Tasks are Divided Into Two Types of Work! Next Post Everything Counts!